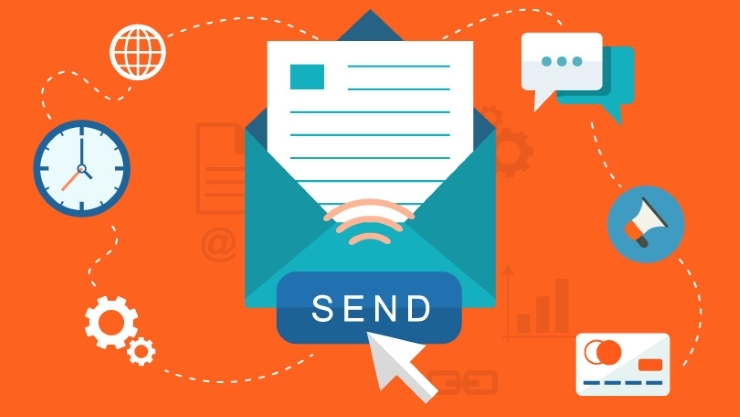 Email Marketing is one of the most ROI friendly channels of online marketing. We all need a mobile optimized email marketing strategy in order to generate the best returns on investment. Today’s mobile consumer base are constantly checking their mobile phones to track emails. There was never a great time to reach the mobile savvy customers as we have now. Here is how you can have a mobile optimized, festive friendly email marketing strategy. How to Have Mobile Friendly Emails? 1- Keep the subject lines shorter to around 25-30 characters as most of the mobile devices displays up-to 30 characters only. 2- Make the pre-header text attractive and click worthy and this text gets seen in the mobile devices. 3- Use single column template in order to keep the content visible evenly irrespective of the devices. 4- Use images sparingly in order to cut down on load times. 5- Use a single call to action so that it becomes easier for the user to decide what to do next. 6- Limit your word count as mobile users don’t read large chunks of content on a single page. Also, ensure to use your CTA button early. 7- Avoid centering long blocks of text and use the full width of your workspace. 8- Leave enough space around CTA’s in order to make it easier for the users to click on them. 9- Test your emails across multiple devices in order to ensure all emails open evenly. 10- Add schema markup to your emails to make them stand apart. 1- Add creative and festive friendly subject lines. 2- Use festive coupon codes in the subject in order to increase the Clickthrough Rate (CTR). 3- Send last minute gifting ideas emails. 4- Wrap up the emails into festive friendly colors but also ensure to keep the design responsive. 5- Create content that sticks to the holiday mood. 6- Provide special discount to the deals left over in the cart and send emails to the consumers to inform them about this offer. 7- Send series of emails, not one time and try to engage early with the consumers. 8- Use emotional triggers in your campaign. Have compelling content and remain innovative. 9- Experiment with different headlines and send special festive offers emails to those who have not opened in the past. 10- Send early bird offer emails to a selected group of past customers who remained loyal. Getresponse: You can't imagine how simple email marketing can be until you give this tool a try! Getresponse is a nice tool to automate your marketing efforts. It is a great email marketing software that has powerful in-built tools for email marketing success. You can build professional looking newsletters with ease and import your subscriber list easily within seconds. Subject Line: Perhaps, the most important part of your email marketing strategy is the subject line. This tool lets you evaluate your subject lines and assigns a score to them out of 100. The greater the score, the better performance the subject will receive. Tone Analyzer: This tool lets you check the tone of your email content. You can detect and interpret emotions, social tendencies, and language style cues found in text. By adjusting the content body, you can increase the overall effectiveness of your content. Putsmail: Another important aspect of email marketing is testing the emails for their effectiveness. With the help of this tool, you can easily check your HTML emails before sending it to your subscribers. That’s it! You have understood how to give a jumpstart to your email marketing in this festive season. Are you employing any other secret tactics in your marketing campaign? Please let me know in the comments below.